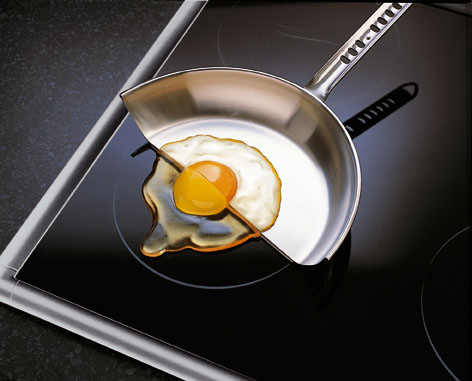 For most meals, the job of the cooktop is to heat a cooking vessel – a pan, pot, Dutch oven, etc. – enough so that it will cook the food. But what if the heat came not from the cook top, as in all traditional cook top styles, but from the cooking vessel itself? By taking advantage of scientific properties associated with ferromagnetism, an induction stove remains cool to the touch while the pan on top of it is boiling hot, replacing traditional cooktops with a safer, more efficient, and more functional alternative. Though the science behind induction ovens is impressive, they carry both the benefits and the drawbacks often associated with new technology. On the plus side, they heat very quickly, and their cooking temperature can be changed at a moment’s notice and with great precision. 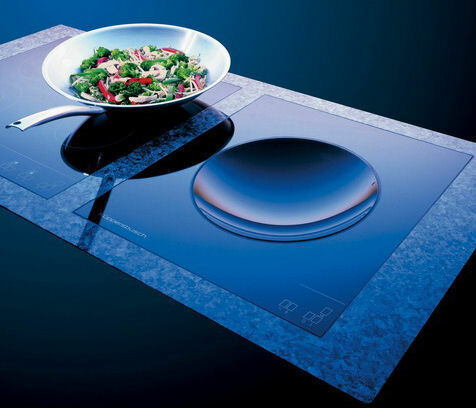 There are many high end units, perfectly suited to the home chef interested in gourmet induction cooking. Induction ovens are also much more efficient than traditional ranges because an induction stovetop heats only the cooking vessel, leaving the surrounding air and cooking surface remarkably unaffected. Obviously, this leads to safer, cleaner cooking, with less burnt fingers and baked in spills. Their thin profiles and ubiquitous electric power make them ideal for any home. One drawback is that an induction range requires the use of cookware with some iron content, and this specialty requirement, combined with the high initial cost of the range, can lead to a pricey installation. Also, like all electronic devices, in the event of a blackout, it will be impossible to use the induction stove.